Dr. Bonner attended Georgetown University on a baseball scholarship. His medical education included attending Georgetown Medical School and then on to The Hospital for Special Surgery for his Orthopedic training. Prior to joining the Jordan-Young Institute, Dr. Bonner was an Orthopedic Surgeon in the US Navy for four years. During his tenure in the Navy, Dr. Bonner was the Chief of Sports Medicine at Portsmouth Naval Hospital as well as the Team Physician for the US Navy SEALS. Dr. Bonner has a keen interest in research involving cartilage repair and regeneration, meniscus surgery, ACL reconstruction, and arthroscopic shoulder surgery including rotator cuff repair. 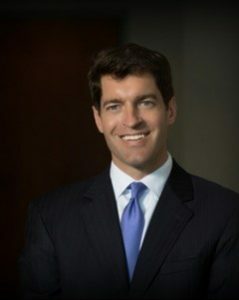 He has helped develop several cartilage repair techniques which are currently being utilized throughout the United States. Dr. Bonner has written recent articles and medical textbook chapters on topics including: Arthroscopic shoulder surgery, meniscus repair, meniscus transplantation, articular cartilage defects, articular cartilage transplantation and ligament reconstruction of the knee. He enjoys teaching and lecturing at Orthopaedic courses and conferences in both the US and internationally. Dr Bonner is in practice at The Jordan-Young Institute in Virginia Beach, VA where he is also Director of the Research Foundation. He is also Assistant Professor of Surgery at Eastern Virginia Medical School.